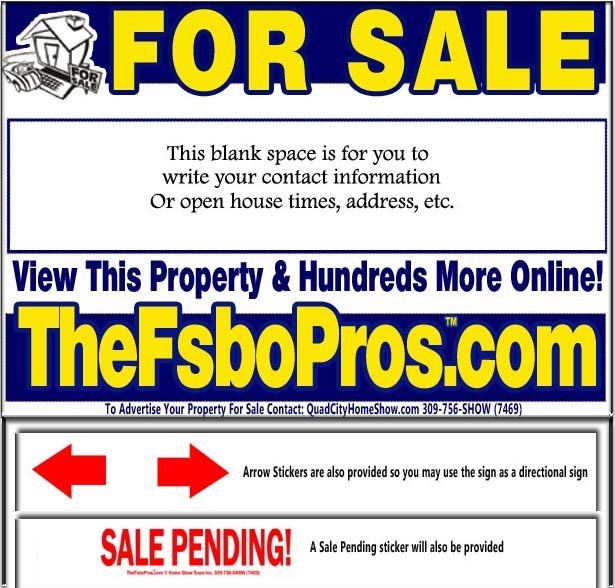 For sale by owner steel framed yard signs, arrow directional signs, and multipurpose signage. Why buy signs when you can use ours? *Advertise with us and we can provide you with the option of using our signs! 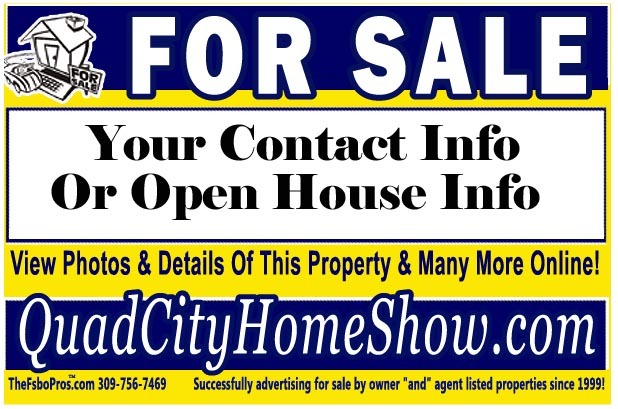 Another great way quadcityhomeshow.com saves you money! No need to purchase your own yard sign! 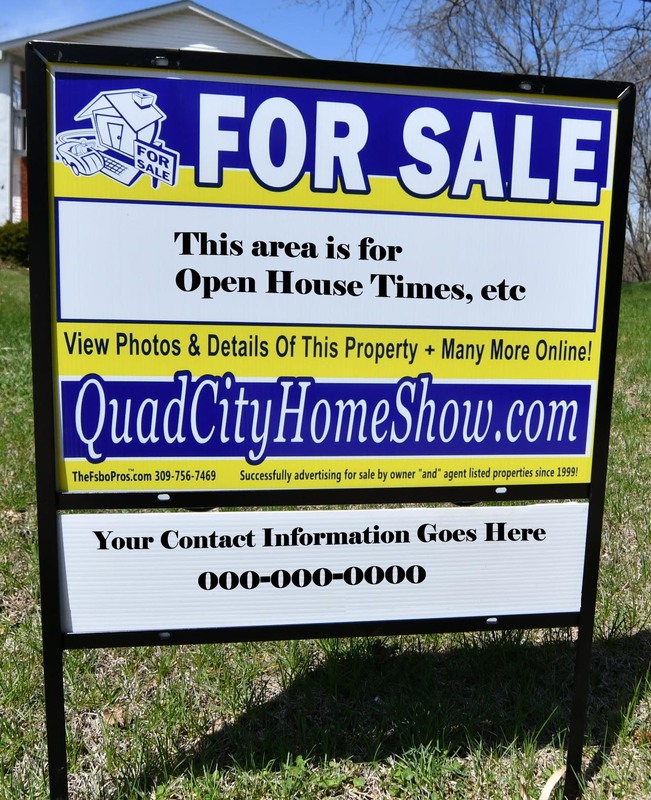 It is the homeowner’s responsibility to assure every sign placed is in accordance to their city’s guidelines. Refunds are made when the sign(s) are returned in “whole” good, reusable condition. Portions of equipment missing or damaged will result in a lesser refund. (Deposit rates subject to change depending on manufacturing & shipping costs). No Deposit! Signs are disposable! Mailable (Typical handling & shipping fee is around $10). shipping & handeling fee per sign, and the cost is dependant on the location the sign is mailed to.